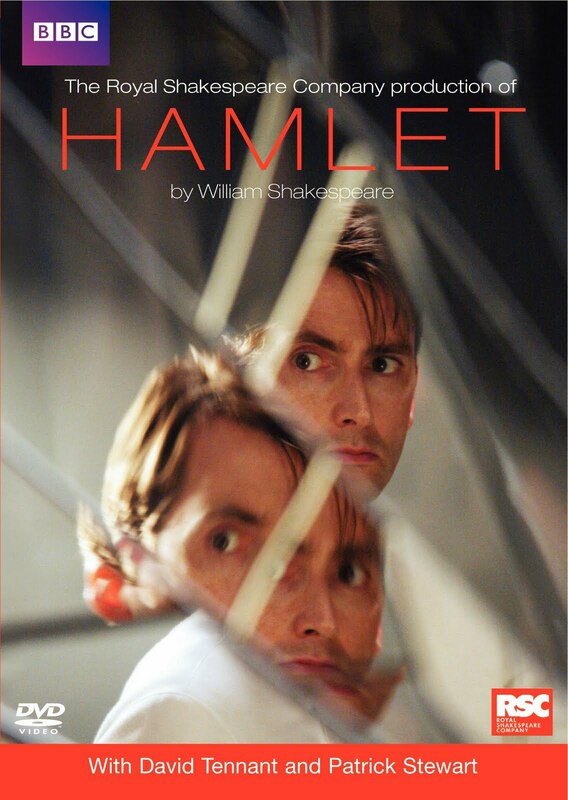 William Shakespeare’s great tragedy of the Prince of Denmark and the quest for revenge that drives him to the edge if madness received one of its most acclaimed productions in 2008 when Britain’s renowned Royal Shakespeare Company mounted a version that starred David Tennant as Hamlet and Patrick Stewart as his scheming uncle Claudius. Directed by RSC Chief Associate Director Gregory Doran, the modern-dress production of Hamlet received nearly unanimous praise and was then specially adapted for TV with all of its cast and key crew members intact. The results can be seen here and they’re outstanding. Filmed on location rather than in a theater, director Doran’s vision of Hamlet is one of the most lively that we’ve ever seen, the director obviously eager to capture to the spontaneity of live theater and the “thriller” aspects of the play (which includes, of course, murders, poisonings, sword fights, lies, deception and lots of lurking around the castle). 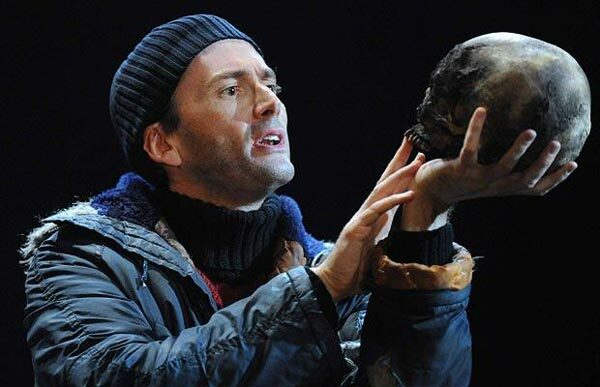 And Tennant and Stewart, who are best known to many on this side of the pond as Doctor Who and Captain Jean-Luc Picard, are both wholly as Hamlet and Claudius, with Tennant’s fierce and paranoid presence leading the way. Hamlet’s DVD bonuses make for fine supplements to the program. The commentary by Doran, producer Sebastian Grant and cinematographer Chris Seager is an enthusiastic one, fully detailing how the stage-to-small screen adaptation was engineered in both dramatic and logistical senses. Seager offering his account on the inherent frustrations of filming a set covered with mirrors (a nightmare for camera placement) is particularly memorable. The 30-minute making-of featurette is also quite generous with offering genuine insight as opposed to the usual back-slapping you hear in typical Hollywood behind-the-scenes pieces. Most interestingly, viewers learn how the physical production was mounted in a seminary outside of London after months of searching for an acceptable locale. According to Doran, the seminary and its surroundings offered a “vivid neutrality” that allowed for the creative team to be dynamic and flexible in the proceedings. Kenneth Branagh’s 1996 movie version of Hamlet debuted on Blu-ray on Aug. 17, 2010.